At the age of eighteen she walked all the way to Dakshineshwar to meet her husband. 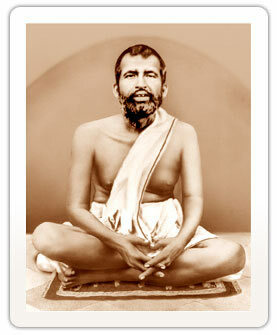 Sri Ramakrishna, who had immersed himself in the intense practice of several spiritual disciplines for more than twelve years, had reached the highest state of realization in which he saw God in all beings. He received Sarada Devi with great affection, and allowed her to stay with him. He taught her how to lead a spiritual life while discharging her household dSri Sarada Deviuties. They led absolutely pure lives, and Sarada Devi served Sri Ramakrishna as his devoted wife and disciple, while remaining a virgin nun and following the spiritual path.